Photos, geographic range, physical characteristics, food habits, reproduction, behavior, habitat, and conservation information. 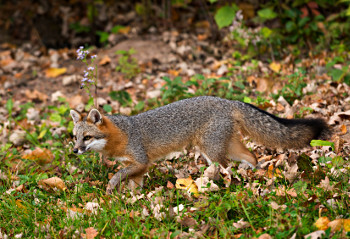 Photo of gray fox, range, habitat, ecology, and major threats. Includes .PDF file with detailed species account. Description, range and habitat, diet, and life cycle.